I understood it was the opposite. The external files were the defective ones. I know there's the same problem with Sony external recorded files. The luminance range isn't the same (I knew the fix, to go from video range to full range, or the other way around). And there's also a slight shift in color. I've developped my "looks" for h264 files from my Sony's. I just bought the Ninja V (despite Jeromy Young's crazy act ) and I can't get the same skin tones with externally recorded prores files. They are more orangey and weird after applying a rec709 lut to the slog2 footage. I'd like to get the exact same starting point when I record externally. Anyone knows if I can use @Attila Bakos 's LUT ? Maybe you have a fix ? You seem to know much about these issues. Do you know if Sony's color difference between internal/external is the same interpretation problem from the NLE as with Fujis ? Anyway, very interesting video. It's a shame not more people talk about this issue which is big to me (external recording with all these cameras having a shift in color and gamma). I shot a bit more using braw these last days. I still have mixed feelings for it. I like the shadow roll off better in braw. I always thought the shadows were too crushed in cdng. I also like the choice of color space (don't know why you can't chose rec2020 with cdng for instance...), it gives me better colors, a less aggressiv red especially. But the two main caviats are the possible increase of moire and I recently noticed some minor macro blocking noise. The noise in braw is less pleasant, sadly. And that's a big deal (at least to me), it is what differs raw from compressed codec footage. That's the whole point of having raw. I know, in the end it's not crucial, but still... I think calling braw a raw format is a bit of a stretch. Don't get me wrong, the image is still gorgeous, it is better than any mirrorless camera and I can still add noise/grain in post. I also like the braw control panel. 5. Auto white balance. The Nikon is amazing and never manages to get it really wrong, even in difficult mixed lighting. The Fuji is fine in daylight. But I absolutely love the fact that you can lock the auto white balance on the Fuji, such a handy feature in a pinch. @thephoenix I don't think you can live view LUTs on the Fuji XT3. It does offer a view assist but it's just a standard rec.709 conversion. Does it ? Because I haven’t found it in the menus. It’d be nice to have a view assist or at least to be able to change quickly from flog to other film simulations to get a better idea of what you shoot ! And although colors and footage are gorgious with this camera, I agree with snowbro, sometimes skin tones look a little bit waxy (the fuji illness...), with not many shades. And thanks for the LUTs, they work great ! Just like the fuji Wide DR lut but without crushing blacks and blowing out highlights ! Thank you guys ! That’s good to know ! I’m about to buy a Fuji X-T3 and wanted to know if someone tried to record 4K at 400 mbps on a sandisk extreme pro SDXC UHS I 95MB U3. You know, the common ones recommended for sony 4K. 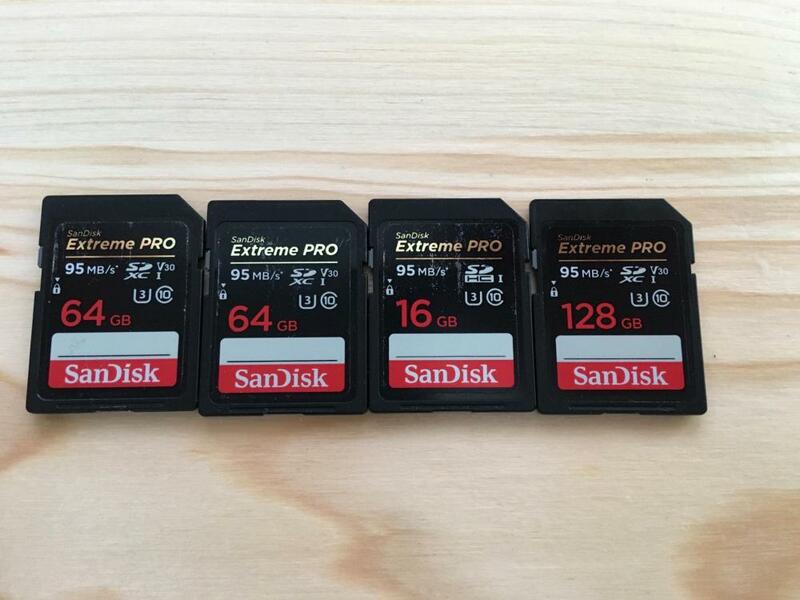 I know it’s better to have UHS II cards but since i manage to record Prores HQ 4K on those with my bmpcc4k and i have a ton of those cards, I wanted to know if there’s a possibility my cards would be enough ! Has someone already tried it ? Will fuji prevent me to chose 400mbps in the menu if I don’t put an UHS II card like sony does ? And if so, do you have suggestions for a good cheap UHS II card that would do the job ? What lenses is this happening with? I've scanned the thread but every mention seems to indicate a focal reducer of some kind which may actually be the issue, rather than direct control of an MFT lens. Which firmware do you downgrade to? I've tried all that are available on the Viltrox site, but the Image Stabalization option on the P4k is always greyed out. I also noticed they released a new firmware 3.2 a couple weeks back, but that still doesn't change the IS option. The oldest available. 2.3 if i remember correctly. IS is still greyed out but if you turn on IS on the lens, you can hear it work and stop when turned off. Are there any negative aspects to this? This is great news ! Did you actually try it yourself ? I was afraid the rear element of the speedbooster would hit the glass protecting the sensor ! Did you set infinity focus on the Viltrox, that could be the issue. You need to turn the optical element inside to make sure infinity focus is correct. I have the Nikon Version and no problem on a Pana M43. Still waiting the BMPCC4k to try it on though. Maybe the Viltrox covers the sensor a bit too much. Their factor is wrong it is not 0.72x but a little bit more. I’ll try tonight. I already did but the glass element wasn’t rotating. I might have to use more strength... I’ll also do a test with a simple adapter, no focal reducer. I’ll keep you posted. Has anyone with the camera tried any wide/ultra wide lenses yet? There seem to be reports of some focus issues.. I will try an adapted lens with dumb adapter to see if it changes something. If not, I might be returning my camera. It’s a shame because the image out of it is so gorgeous ! And by the way, the lens IS doesn’t work with the viltrox EF-M2 yet. I hope a future firmware will correct it. But so far it’s this softness issue in the corners that absolutely needs investigation ! I know many stores who have a sealer in store. Bought second hand stuff before fully sealed. Anyway, not saying that's what happend but sounds weird! Hope no further problems pop up for you! Yeah thanks ! Don't worry ! Everything's fine ! And I was a bit harsh with the "plastic feel" comment even though it was my first impression. The front rec button makes no sense haha, I tried it for fun, but the camera is impossible to hold this way (I mean for insane vloggers who would choose bmpcc4K to vlog !). But it doesn't hurt to have it. Hehe yeah, I don't know It was still sealed with plastic and I guess he's a busy man !